Thingamajig Theatre is a 501(c)(3) nonprofit professional theatre company in residence within the Pagosa Springs Center for the Arts. We are dedicated to present professional theater with artist from across the country, in musicals, comedies, dramas and new works year-round. We also provide educational opportunities for children with theatre classes and camps. 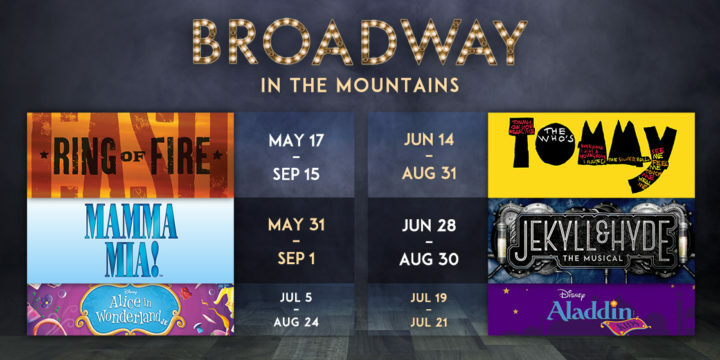 Thingamajig Theatre Company is proud to be a major tourist attraction and economic driver for our community..
Our Broadway in the Mountain Summer Season includes a multitude of broadway style musicals running throughout the summer. When the weather gets cold, we’re still playing with comedies, dramas, musicals, and new works being produced throughout the fall, winter, and spring. 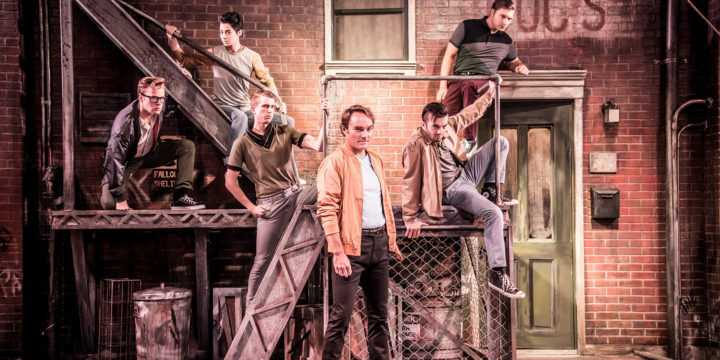 ‘West Side Story’ Jets. Scenic design by Matt McCarren, Lighting by Laine Wong, Scenic Artist Jill Fives, Costume Design by Adrienne Young. Photo courtesy Jeff Laydon. 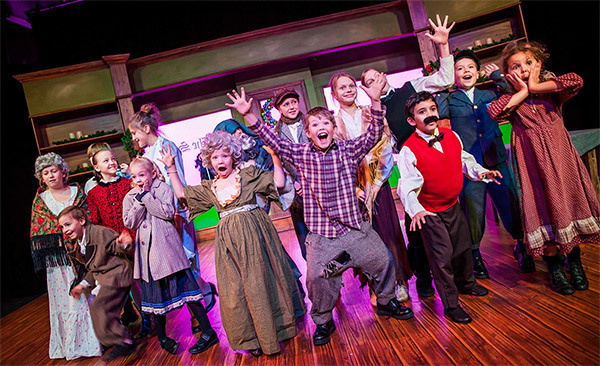 Join us for our thrilling 2019 Broadway in the Mountain Summer Season which includes five musicals running in rep and our wildly popular Whatchamawhozit’s Children’s Theatre Camp! This year, our season includes Ring of Fire, Mamma Mia!, The Who’s Tommy, Jekyll and Hyde, Alice in Wonderland Jr. and Aladdin Jr.
Thingamajig Theatre offer the Whatchamawhozits Children’s Theatre Camp throughout the year. Our most popular camp, which is held every summer, is taught by professional theatre artists from around the country. Over three weeks, the Whatchamawhozits get to learn about all different aspects of the theatre and put on the kids version of a popular musical. For the 2019 Summer, the Whatchamawhozits will be taking on “Aladdin Kids”! More camp information, like costs and specific dates, will be available soon. Thingamajig Theatre is proud to offer educational programs for all ages. 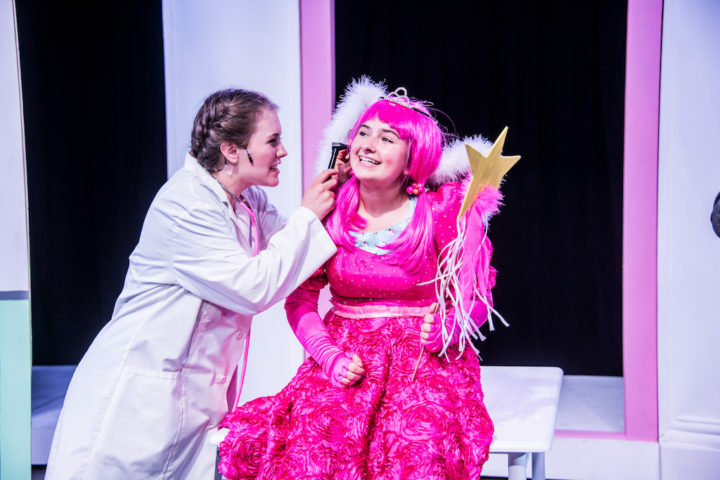 Our teen program, the ThingamaWHOs, give local teens the opportunity to perform in a show alongside some of the professional directors, designers, and actors of the Thingamajig Theatre. This 2019 Summer Season, the ThingamaWHOs will be taking on “Alice in Wonderland Jr.” Local audition information will be available soon.